The Fresh start academy for Berkshire, Buckinghamshire and Oxfordshire, was launched on 16th October 2007, With Jonathan Shaw MP, Minister for Marine, Landscape & Rural Affairs and Minister for the South East as guest speaker. With the opening of the Oxfordshire academy in October 2008, the group meeting here at Marsh will now be known as the Vale Fresh Start academy. 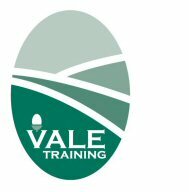 The Academy based at the Vale Training Group’s Marsh Training Centre is coordinated by Kate Mason of Vale Training and Mark Oldham of Laurence Gould Partnership Ltd. The Fresh Start Academy will deliver a 15-month training and personal development course in varied aspects of farm business management to people keen to enter the agricultural, horticultural and forestry industries. It also identifies opportunities to establish partnerships between the new entrants and retiring or outgoing farmers and landowners. Individuals are supported in the early stages of their new business, via a Business Mentor, with the skills required on an individual basis. This will involve business planning, financial planning, marketing advice including advice on co-operation, collaboration and the establishment of joint ventures, direct marketing and the role of regional food in supermarkets and catering outlets and general business management advice. The group have now held six very successful meetings with very positive feed back, and we have seen our first members achieve their goal. Mr & Mrs Peter Gregory will take on their first farm tenancy this autumn. When giving their good news to the other academy members, both Peter and Katie said “that they felt they would have not been as successful, without the academies help and support”. We wish them both well with their new business. We have also had a steady stream of potential opportunities, which are now being explored by our own academy members as well as those from other areas. We are currently planning the programme for the coming winter and dates and subject to be covered are listed below. For more information on the academy view our blog page.